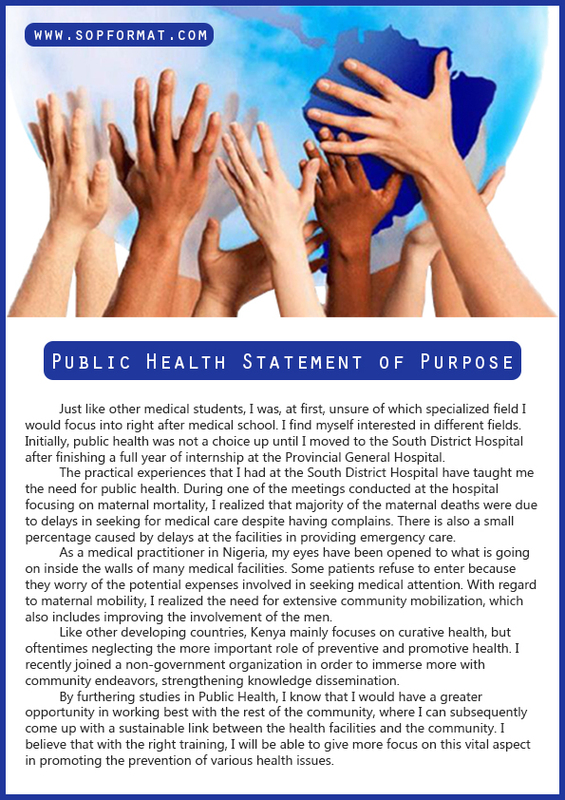 What Is Your Public Health Statement of Purpose? If you are going to apply to study public health as your degree you will be required to include a statement of purpose or SoP as part of your application. 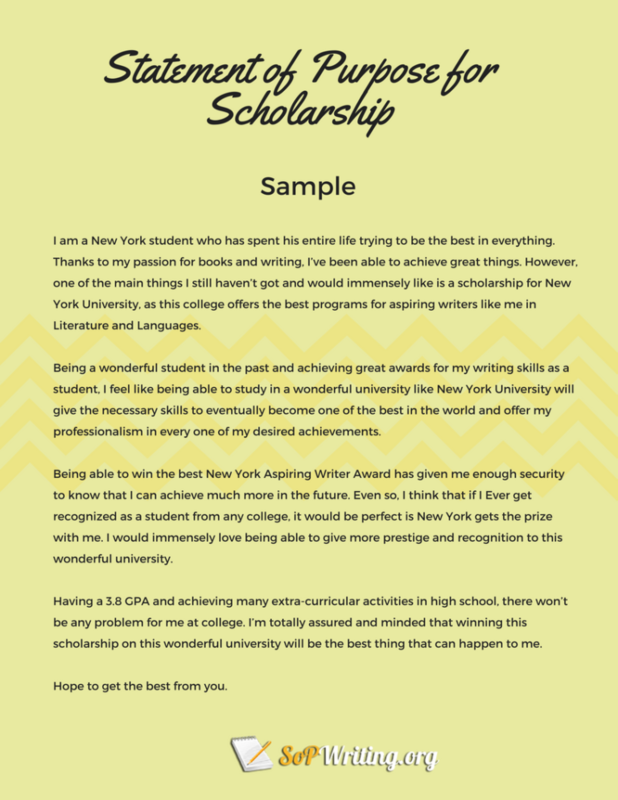 This is a vital part of your submission as it is your opportunity to convince the admissions committee that you would be an excellent selection for their program. However, if you look at any public health statement of purpose sample you will see that the standard of writing expected of you must be very high indeed. You must be able to truly impress the reader with what you have written if you are to have any chance of selection. 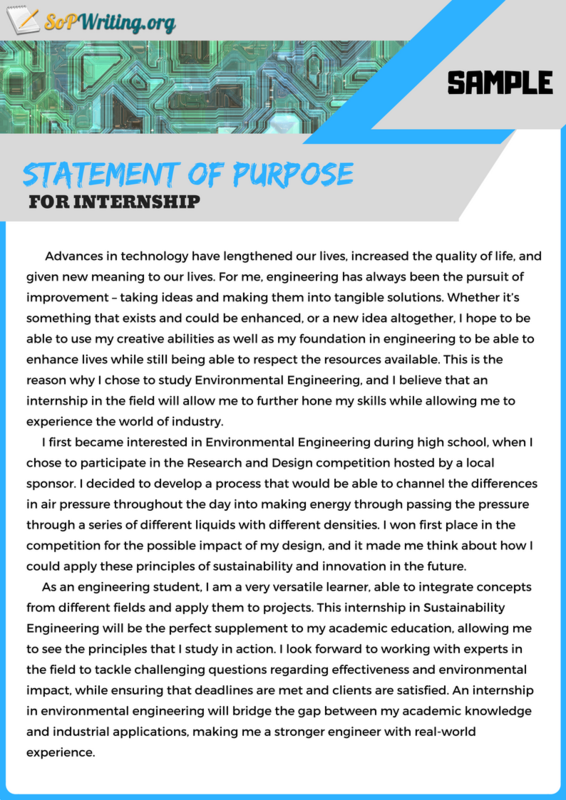 Check examples of statement of purpose to find out how winning SoPs look like so you may start crafting your own document and impress the admission board for sure. The public health statement of purpose format will be very much be dictated by the method that you have to use to submit it. In most cases, the college or university will be looking for your statement to be submitted electronically and you will have to copy and paste your statement into a box specifically designed for your application. In this case, any formatting that you have done will likely be stripped from the document, whether it be a statement of purpose social work or any other one. Use clear margins of at least 1” all of the way around the page so that it appears clear and centered. Use a font of at least 12pt size that is traditional and easy to read such as Times New Roman. An introduction giving your reasons for following public health as a career. Your educational background and experience. Why they should be accepting you to their specific program. Avoid excessive formatting of your text: do not use lots of bold, italics, underlining or caps. Keep sentences short and concise so that the statement is easy to read from start to finish. Your reasons for wanting to study and pursue a career in public health. What makes you particularly suited to a career in this area? What are your specific career and educational plans? What do you bring to this program? Why are you choosing this specific program for your studies? Look at the great example of mba sop to check if your fornat is good. Understand what the program is looking for: ensure that you read all of the information about the program and the college itself so that you fully identify what they seek in students. Look at a good sample SoP for public health applications for ideas and guidance: seeing how other have approached the task will aid you in writing your own. Make your hook effective: your opening lines must be able to get the full attention of the reader so you can be sure that they will read more. Use an anecdote around which you can tell a story: your statement must flow like a story not be a list of facts similar to your resume. Avoid all clichés within your writing: you have to ensure that your writing is completely original and engaging throughout. Keep your writing concise and to the point: never use more words than you need to. Use words that will be understood: never use any form of slang, acronyms, or unusual words selected from your thesaurus. Keep to the truth: if you are invited for an interview they will often talk through much of what you have included within your statement. Ensure what you include is relevant: if it does not add to your chance of being selected then it does not belong in your statement. Proofread: simple mistakes in your work say that you did not care enough about the application to check it thoroughly. Do not be afraid to be yourself and showcase the best parts of your academic and personal life through a winning public health SOP, a statement of purpose biology or a statement of purpose for MBA.